Rick Wolcott is Director of Communications for the East Ohio Conference of The United Methodist Church. He was raised in The United Methodist Church and considers his position with the conference to be a calling. Wolcott was confirmed at North Royalton United Methodist Church, was president of the youth group there and later served the church as Staff Parish chairperson. He also served in that capacity years later at the United Methodist Church of Berea, where he was involved in redefining the church’s Vision and Mission Statements, and setting new short and long term goals for the congregation. Prior to joining the East Ohio Conference in October 2010, Wolcott worked for 10 years at WJW Fox 8 in Cleveland first as sports producer and then as assignment editor. 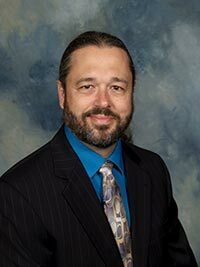 He earned a Bachelor of Science in Business Administration from Bowling Green State University, and Radio/Television Certification from the Ohio Center for Broadcasting, where he currently serves on the faculty and on the Program Advisory Council. Wolcott’s wife, Karen, is pastor of Ridgewood United Methodist Church in Parma. They are proud parents of a son and a daughter.